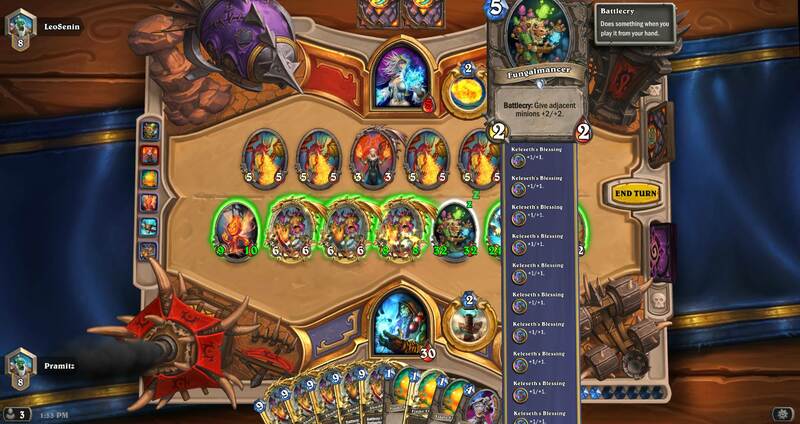 You can also stand their Shudderwock- they need to have space in their hand for the Wocky when it bounces, so you can make things awkward by filling their hand with removal they can't use. Oh bummer, they shortened the rope for this brawl and made it way worse. mb53, start a driving blog. Healing Zoo Warlock is gunna get nerfed. Nah, there’s a month left until next expansion, it’ll probably last until then. It’s a tier 1 deck but not the best deck or particularly broken, and I can’t pinpoint a single card that actually needs a nerf in it. The only thing I can think of is maybe making Happy Ghoul cost 1 if your hero is healed. I have been finding recently that I cannot for the life on me get good arena runs with the meta picks, but as soon as I go Hunter, Warrior, or Druid I get deep 5+ runs. Druid seems to be meta now? I still only see Paladin and Mage when I get high. Warlock/Mage/Paladin/Rogue/Shaman all seem to be highly competitive arena classes atm. Priest and Druid can highroll in the draft for really solid decks. Hunter and Warrior are lacking. I enjoy picking Hunter every once in a while when I don’t like the other choices. Every once in a while you draft a deck that can roll over Warlocks, which are everywhere right now. It just suffers against Mages and Priests. So it turns out Druid is way easier to beat when they don't draw Spreading Plague. Is that constructed or arena? Because it's almost always a bad pick in arena, especially given it comes with premium other options. I only play constructed. Never really got a handle on Arena, though I know it's better EV than buying packs. Could you tell what Druid you were facing? I know Taunt Druid doesn't run Plague. I couldn't tell exactly, because it was over on T7 before he played any signature cards, but my guess based on what I saw would be Taunt Druid, or maybe Big Druid. He got off a lot of ramp, but no actually action. If he's Hadronoxing, he wouldn't have had the Plague to being with.